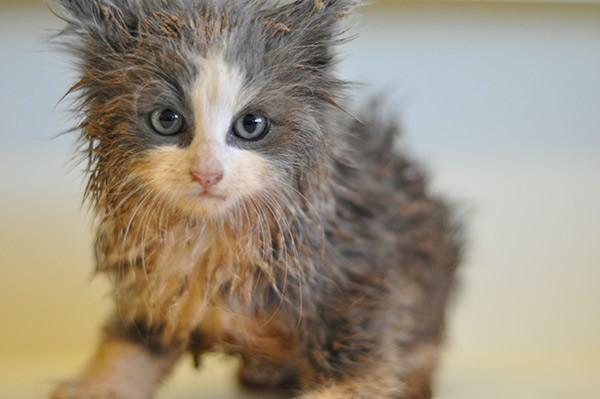 A beautiful, fluffy gray and white kitten named Jo-Jo is safe and headed to a new and better life after a dedicated animal services officer dug through the mud to rescue her from a deep and narrow hole. 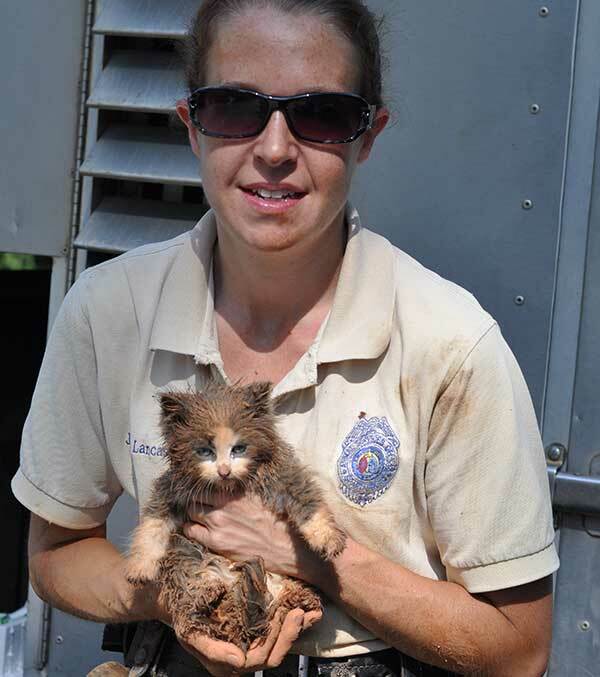 Spartanburg SC Animal services Officer Jessica Lancaster holds Jo-Jo, the little kitten she saved. 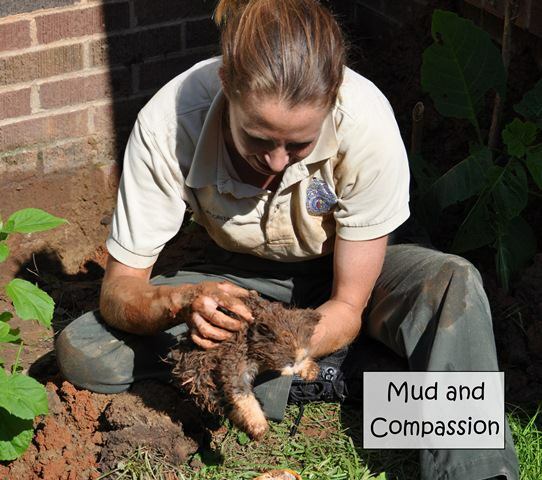 Spartanburg, SC Animal Services Officer Jessica Lancaster spent more than an hour Wednesday digging through the mud to reach the little kitten, who’d gone down a narrow hole next to a home her feral mother visits looking for food. 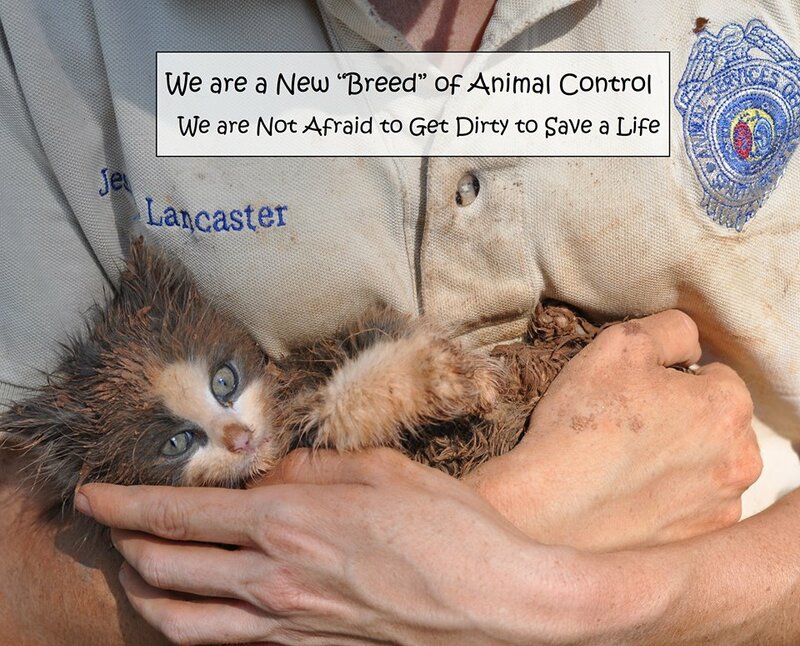 Lynn Ferguson has been feeding neighborhood ferals and strays and one of them, Jo-Jo’s mother, had kittens this spring. 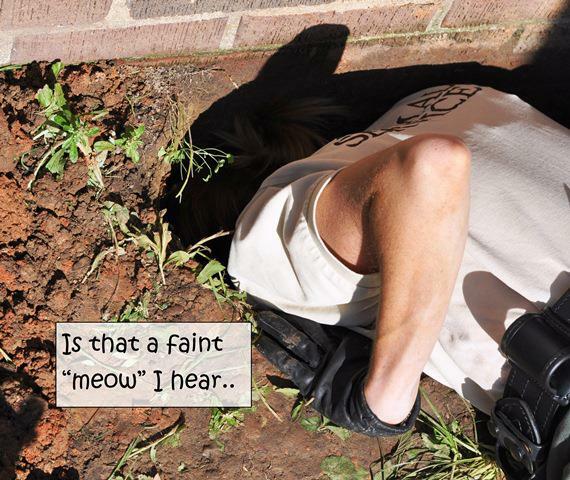 Ms. Ferguson and her husband heard meows coming from the little hole in the ground for two or three days and realized the kitten within. The couple attempted to dig the kitten out but didn’t want to accidentally hurt her , so they called animal control asking for help. 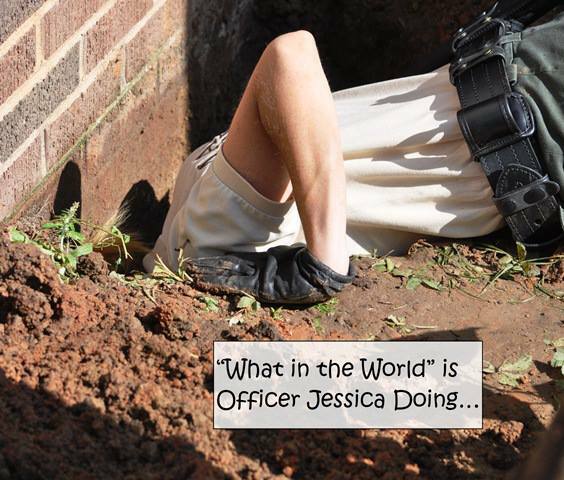 Officer Jessica Lancaster came out and made the rescue, as is documented in the series below. 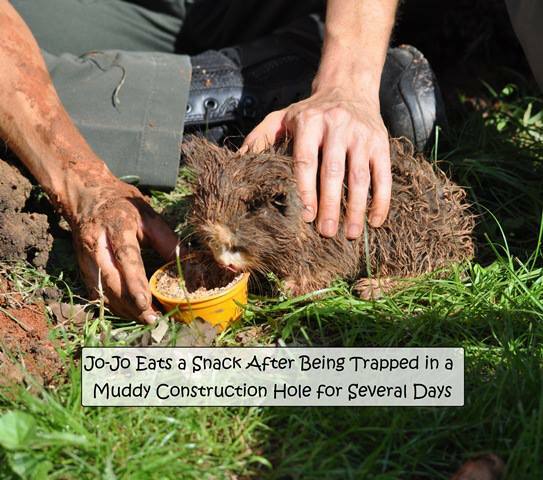 We couldn’t resist using the versions of Spartanburg Animal Control’s photos of the rescue from their marvelous Facebook page, where they’ve been charmingly captioned to tell the story. 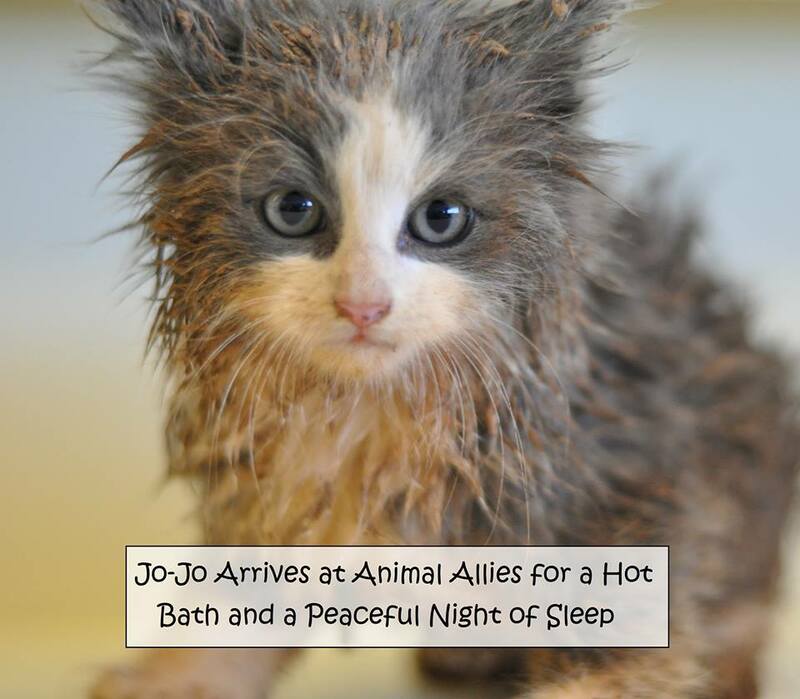 Jo-Jo is staying at Animal Allies Low Cost Spay and Neuter Clinic, where she is resting up after her ordeal. Animal Allies will provide her with her vaccinations and spay surgery, then she will be made available for adoption. Jo-Jo’s rescue not only saved her life, it took her off the streets and made it possible for her to lead the life of a pampered pet. 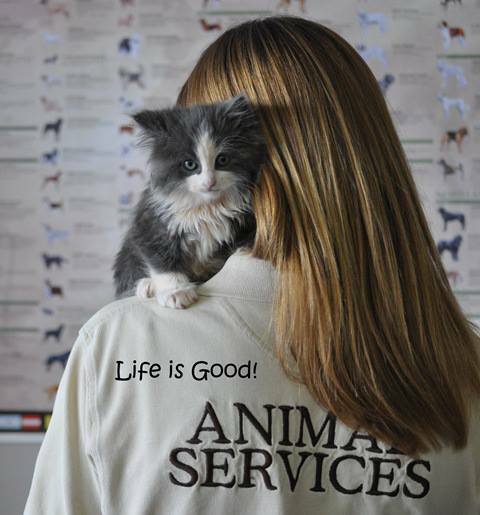 During the course of the kitten’s rescue, Spartanburg Animal Services became aware of the feral and stray cats in the neighborhood, and will pick them up and have them desexed and returned to their home ground through a TNR spay/neuter program made possible by a grant. The widespread local interest in the story has helped Spartanburg Animal Services to publicize the program and invite residents to help them humanely reduce the unhomed cat population and improve their well being. See the news video on the story below the photos. 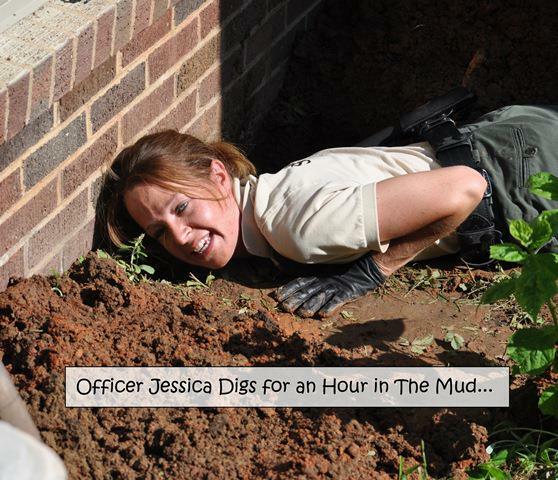 Officer Jessica is my new hero, and that kitten is adorable!